Our Children's Ministries are uniquely designed for children 2 yrs-6th grade. We believe children are a blessing from God and we are passionate about creating an environment that is safe, age-appropriate and fun where the Bible is taught in a creative and relevant way allowing children to grow in their relationship with Jesus. 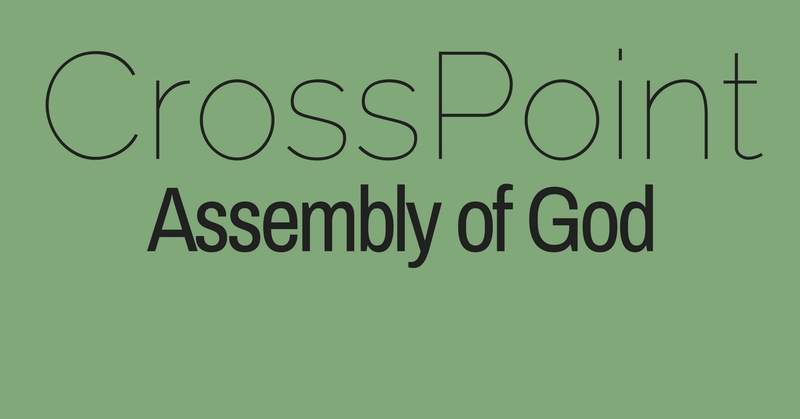 Here at CrossPoint Assembly children are a top priority. Come visit our nursery area where we provide a safe and caring environment for your child. Sunday School, 9:00 am: Nursery/Toddler class (as needed). Sunday Service, 10:15 am (Ages infant-2) Children 3 and over attend our Little Kids' Church and Kids' Church services. Sunday School classes are available for all kids ages 2 through High School. Come check out the fun at CrossPoint Kids' Church and find your way to an awesome adventure! Kids love the fun-filled activities and exciting drama, puppets, games, and snacks while learning about the love of Jesus. Your child will experience exciting hands-on activities, character building, Bible stories and friendships, all in a loving, caring and positive atmosphere. 10:15 Worship Service - Children, ages 3-11, are released from the main service to go to Little Kids' Church and Kids' Church. Royal Rangers is a ministry that reaches across the United States and in over 65 nations around the world. It motivates boys spiritually through Bible study and memorization, devotionals, and Christian role models. Boys are strengthened mentally by an advanced awards-based weekly program. Further, the boys increase their physical prowess by participation in age-specific activities and recreation. Finally, they are introduced to church, community, and nature-related activities to develop their social skills and awareness. For boys grades K-6. is an interactive program that offers an exciting adventure for girls as they grow spiritually, emotionally, socially, and physically . Our local charter is equipped with excellent adult leaders, giving quality instruction and lots of fun. Come visit any time!